Watch Knuckles the Echidna glide and climb. 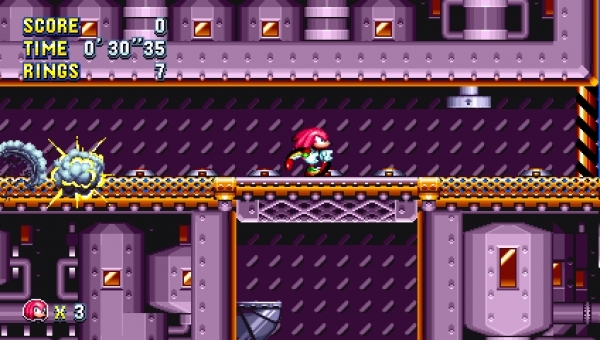 Sega has released a new gameplay video and screenshots of Sonic Mania featuring Knuckles the Echidna gliding and climbing through Flying Battery Zone Act 1. Due out this summer for PlayStation 4, Xbox One, Switch, and PC, Sonic Mania is a celebration of past and future, blending Sega Genesis-era Sonic the Hedgehog platforming with new Zones, new bosses, and three playable characters (Sonic, Tails, and Knuckles) at 60 frames per second.